As an expanding franchise, the Sleepy Bee needed a structured brand system to make sure their original vision survived and stayed consistent—no matter who was bringing it to life. 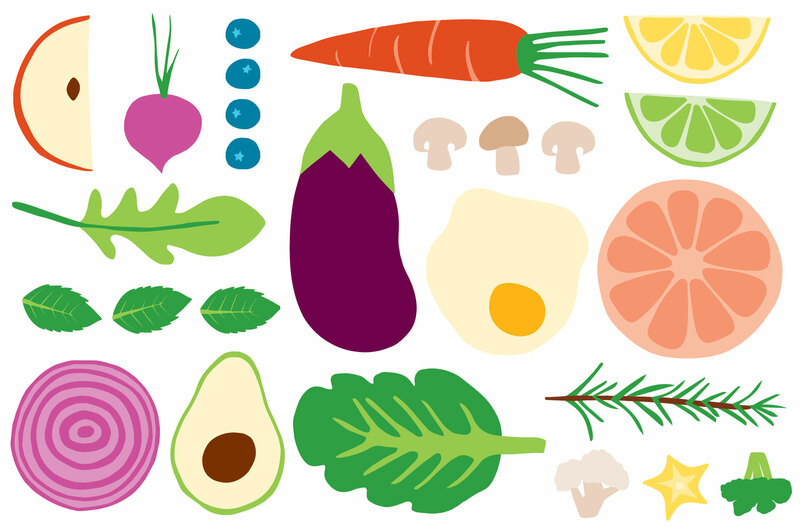 At Sleepy Bee, it all starts with fresh ingredients. So, that’s where we started, too. 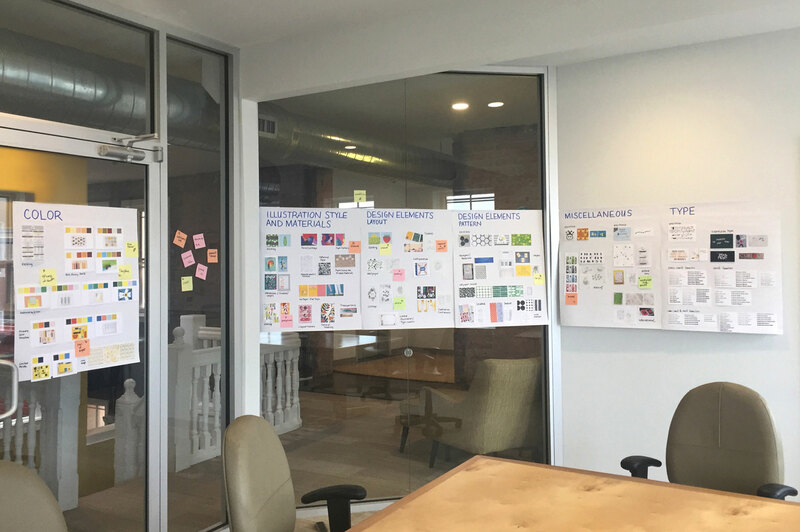 Our design team met with the founders to brainstorm key brand characteristics—irregular, vibrant, whole, energetic, to name a few. Together with the client, we explored design elements that could express these traits and selected a few collections to pursue. For each concept, color, illustration style, layout and type merged into a cohesive system. 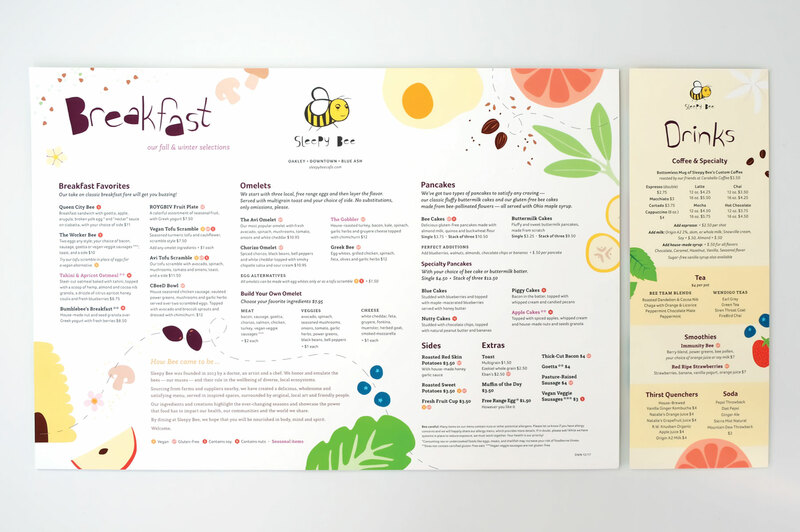 The client had established a playful cut-paper illustration aesthetic, living most visibly in an adorable bee logo. Using this illustration style as a springboard, we expanded into a library of more than 100 unique design elements (grains, seeds, blossoms, fruits, roots, and vegetables) that grew to be the heart of the brand family. Once we tested the depth, flexibility and durability of the system, we created a brand essentials guide. 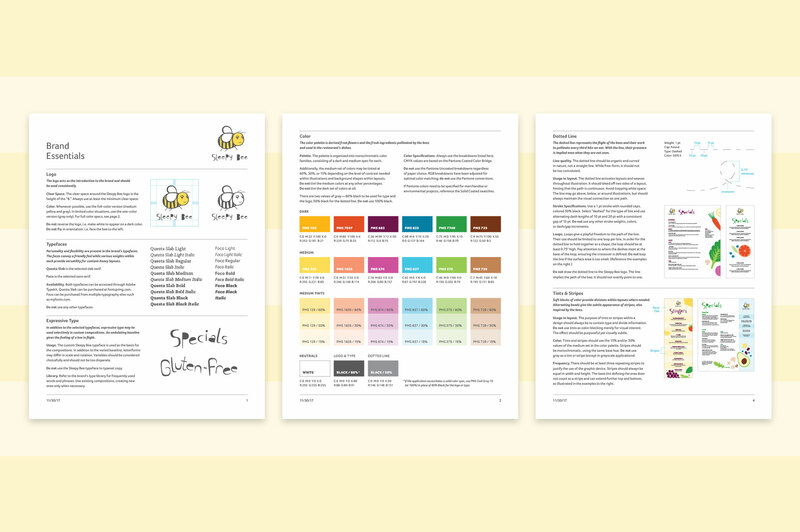 Many different partners will be building Sleepy Bee branded materials; for them, the document defines the purpose and abilities of each brand element, sowing consistency and allowing the client’s vision to blossom across a garden of media. Menus were our first chance to connect the brand with consumers in an intimate way. The “queen bee” welcomes us into her world, leading the diner in flight among a freeform menagerie of seasonal ingredients. Copy matches the design’s mood—and the menu’s underlying strategy—by keeping things “light,” giving the menu another friendly, personal touch.